Divorce Refusals and Default Judgement…always respond to a divorce complaint! For whatever reasons (and there can be many, usually misguided), there are situations in which a divorce complaint is filed by one spouse and the other spouse simply refuses to acknowledge the divorce papers. Many times this refusal can stem from fear. Whether it is a fear of losing custody of the children, of a change in lifestyle based on asset division, or a fear of splitting up a family owned business, almost always, it is a bad idea not to respond to a court. This article will explain when this can happen and why it’s not usually in anyone’s best interests. Spouses refuse to respond for any number of reasons. Sometimes it is because a spouse wants to preserve the family, just does not want to deal with the situation or won’t acknowledge wrong-doing. Or, he/she might believe that by simply ignoring the papers, the whole situation will go away, or that in so doing, the divorce can be blocked. No, no and no! Often, these spouses do not understand the resulting legal ramifications of not responding (known as “being in default”). There are situations in which a spouse files for divorce and intentionally does not seek the participation of the other spouse. 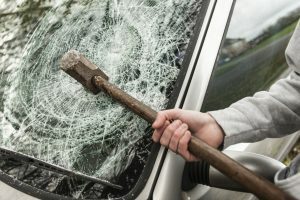 This happens in the unfortunate circumstance of victims of domestic abuse who may be subject to coercion, violence or other intimidation tactics by the abuser. In any case, the law is there to protect the filing spouse’s decision to end the legal marital relationship. Generally, the only way for a New Jersey divorce proceeding to “go away” is for the original petitioner to file a motion to withdraw the complaint. Under current NJ family law, the courts will permit a divorce complaint to proceed regardless of a spouse’s lack of participation. New Jersey law allows 35 days for the spouse receiving the divorce complaint (called the “respondent”) to respond. He/she must act to protect his/her interests after being served. If the respondent wants to object to anything that the spouse is asking for in the complaint, such as custody, co-parenting time, support, debt division or property distribution; an answer must be filed with the court during this window of time. A response serves as notice to the court that the respondent wants and intends to be actively involved in deciding the issues. Refusing to participate in the process is not the appropriate way for either spouse to demonstrate his/her objection to the divorce or attempt to prevent the divorce. Failure to respond can be a fast lane to very unfavorable consequences for the respondent. Essentially, when one spouse resists or refuses to accept legal papers and/or does not respond to them, the legal process proceeds by means of a default judgment. The bottom line: In Monmouth and Ocean County, and across New Jersey, if one spouse decides to divorce and files, it will be granted. 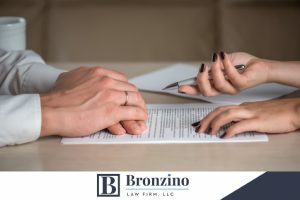 As the attorneys at The Bronzino Law Firm will explain, a default judgement means that a judge will make any decisions based on reviewing the paperwork submitted by the filing spouse. That’s all that’s considered because it’s all the court has. It has no other option! The judge will proceed to make the very important decisions about child custody, child support, visitation, alimony and asset division. Essentially, the lack of participation throughout the process (and especially the failure to contest any aspect of the divorce), will be interpreted by the court as an indication of agreement with everything the filing spouse has requested. A spouse who has been non-responsive will only be permitted to ask some questions; but will not be allowed to give the court any of his/her own evidence or to testify on his/her own behalf. In other words, when a spouse doesn’t respond to a divorce complaint, that person will lose his/her rights to make arguments about property division, support, and child custody. Furthermore, the court may even decide not to serve the respondent spouse with notice regarding any subsequent aspect of the divorce proceedings. As long as the judge considers the divorce and settlement requests to be fair and reasonable, it’s likely that the divorce will be granted. 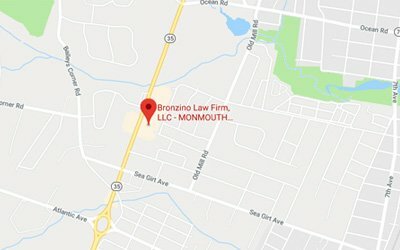 At the Bronzino Law Firm our attorneys routinely consult on every family law issue, including divorces and default matters, division of assets, custody, alimony, etc.. We have a record of success and satisfied our clients across northern New Jersey, including Ocean and Monmouth County, Sea Girt, Jackson, Asbury Park, Point Pleasant, Wall, and the surrounding communities. Served with Divorce Papers and Considering Your Response? Call a Toms River Divorce Lawyer today for a free consultation. 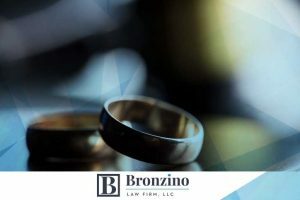 If you’re considering divorce but are concerned that your spouse may refuse to participate in the process, call the Bronzino Law Firm today to schedule a free consultation with an experience divorce and family law attorney. It’s usually in everyone’s best interests to respond and participate. In New Jersey, divorce can be granted even when only one person wants it. 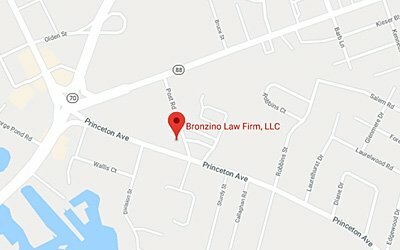 Ask for advice from your family law and divorce attorneys at Bronzino Law Firm. Staying on the sidelines and refusing to be a participant in your own legal matters will most probably not have the outcome you’re hoping for or expecting. In many circumstances, the earlier on you enter into the process, the better chances you and your legal team will have to plan a strong case and achieve results favorable for you. Please call (732) 812-3102 for an appointment to speak with an attorney today at or contact us by e-mail .